Julian Gargiulo, Pianist: Back By Popular Demand! Name: Julian Gargiulo, Pianist: Back By Popular Demand! 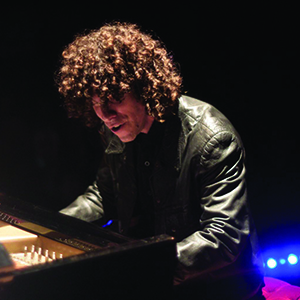 Welcome Julian Gargiulo back to Branscomb Auditorium on January 30 at 7:30 PM. When last seen in Lakeland in January 2017, this incredible piano virtuoso and Steinway Artist had just completed his second year in Florida Southern College’s Festival of Fine Arts, sharing (with his favorite audience) his inimitable style, irrepressible humor, and brilliant musicianship. Back, due to popular demand, he once again treats us to a delightful, unconventional, and unique concert experience, guaranteed to entertain, educate, and please. Do join us in welcoming Julian Gargiulo back to Branscomb Auditorium.